While technology may have changed a lot since the SAS community first gathered together at SAS.ONE in 1976, the aim remains the same. As per its mission statement, SAS Global Forum champions the needs of SAS users worldwide to help them learn, connect and grow. Even today when we can connect online 24×7 (see Myth-busting about SAS communities), there’s nothing quite like an enthralling, connective, enlightening, in-person community event to woo, wow, and inspire creativity! 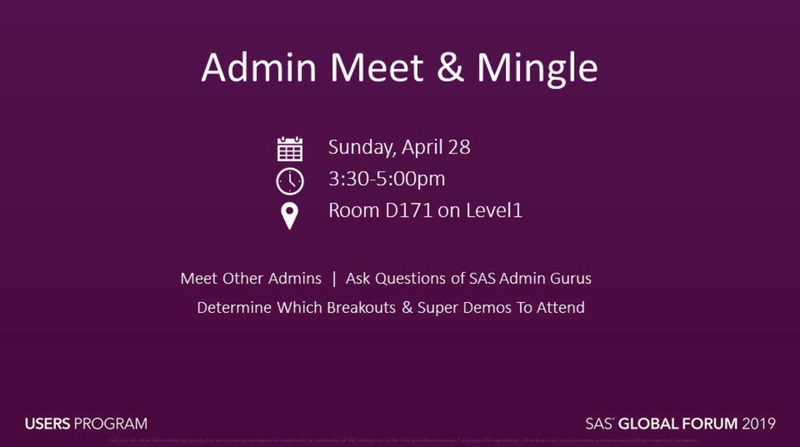 If you’re a SAS administrator, be sure to join the SAS Admin Meet & Mingle at SASGF to meet other administrators, ask questions and have discussions to help get the most our of your conference with tips to breakout sessions and super demos. The Admin Meet & Mingle is on Sunday, April 28 before the conference starts, 3:30-5:00pm in Room D171 on Level 1. Add it to your agenda NOW! Become a twinkling SAS star! Become a twinkling SAS star and join us on a journey of analytics discovery by registering today for SAS Global Forum (April 28 – May 1). 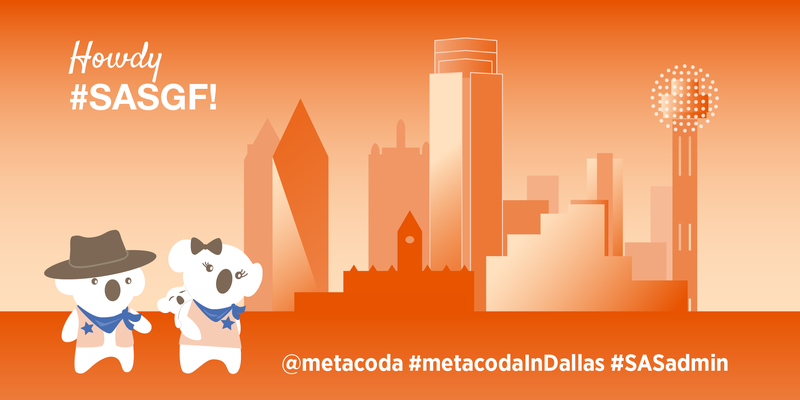 Metacoda is excited to be a conference sponsor once again, which means you’ll find us at our stand in The Quad. The Quad is a big – think Texas BIG! – interactive space where you can meet up with fellow SAS enthusiasts to learn, network and get insights and demos. 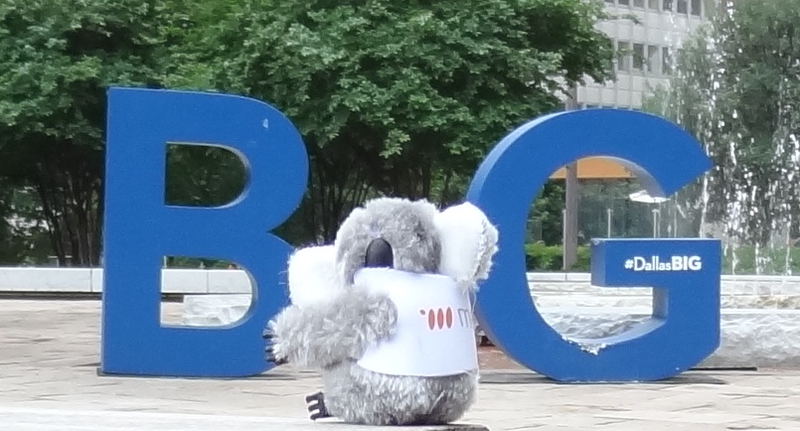 Pop in to find out more about how we can help you enhance your platform security (and to adopt your very own Texas-themed Metacoda koala, of course!). In the SASGF 2019 mobile app, there is a photo challenge where you earn points on successful completion of activities by taking photos. Top point winners will be entered into a drawing for prizes being offered by SAS. Most of the activities are 5-10 points. If you post a photo cuddling a Metacoda koala (small clip on) in front of the Metacoda booth you’ll collect 100 points! BTW, did you know that all the previous SAS conference proceedings have been digitised right back to SAS.ONE in 1976? In preparation for your SAS Global Forum trip, why not take a venture down memory lane and flick through some of the old papers here. 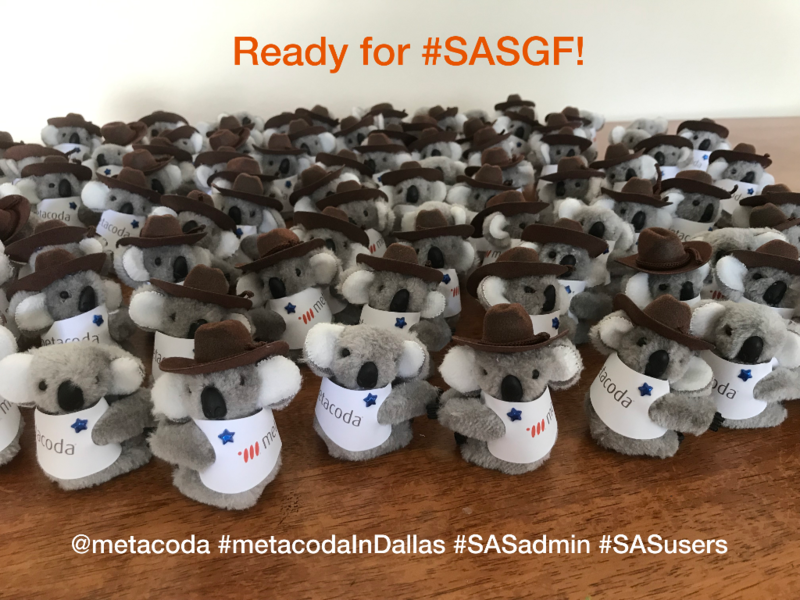 See you at SASGF soon!